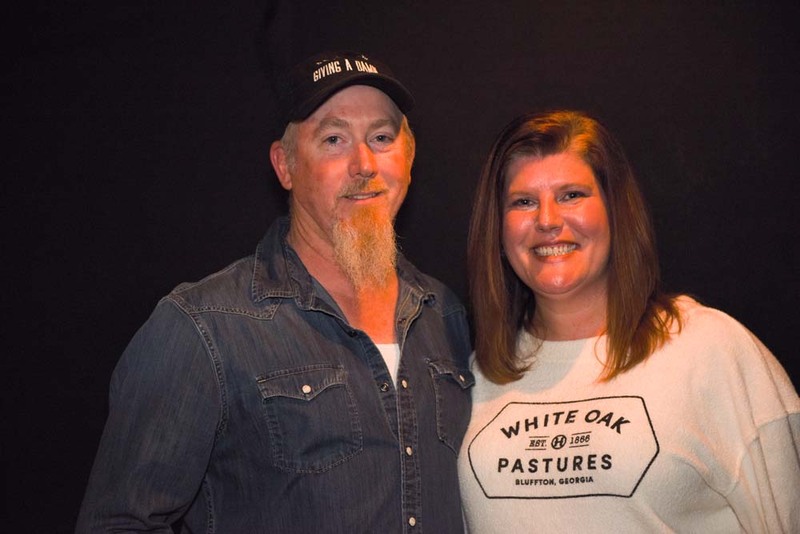 When Bubba Jackson told Denna Peterson what a great place White Oak Pastures is to work, and how much he enjoys his job as the Shipping & Receiving Manager, Denna submitted her résumé. July 2018 marked her one-year anniversary as the Accounts Payable Manager. Denna pays the monthly bills, manages our fixed assets, and assists Bill Perryman in the purchasing department. Honored and proud to be chosen as Manager Of The Month, Denna describes White Oak Pastures as “appreciative.” “I’ve never felt so appreciated at a job before.” A job where Denna has the opportunity to eat lunch at our Dining Pavilion located behind the beef and chicken abattoirs. She loves the Grande Quesadilla, but will also grab some of our ground pasture-raised pork from our General Store and make pork-stuffed bell peppers at home. Many people who are interested in finances and analytics are not inclined to be eminently creative. That unquestionably isn’t the plight with Denna! She has such a creative and fun-loving spirit. 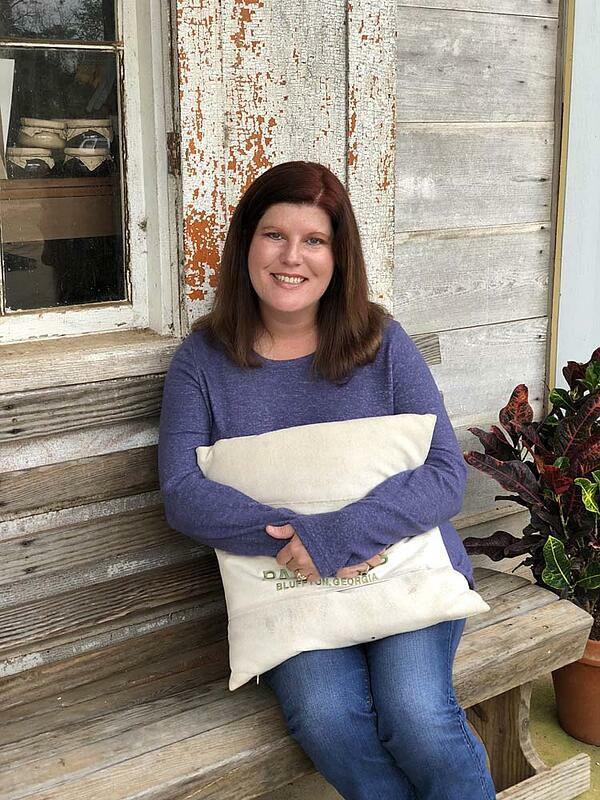 When she isn’t laughing with, or at her friend and co-worker, Diana Collins, who puts on quite a photo shoot, Denna can be found at home creating home decor pieces. 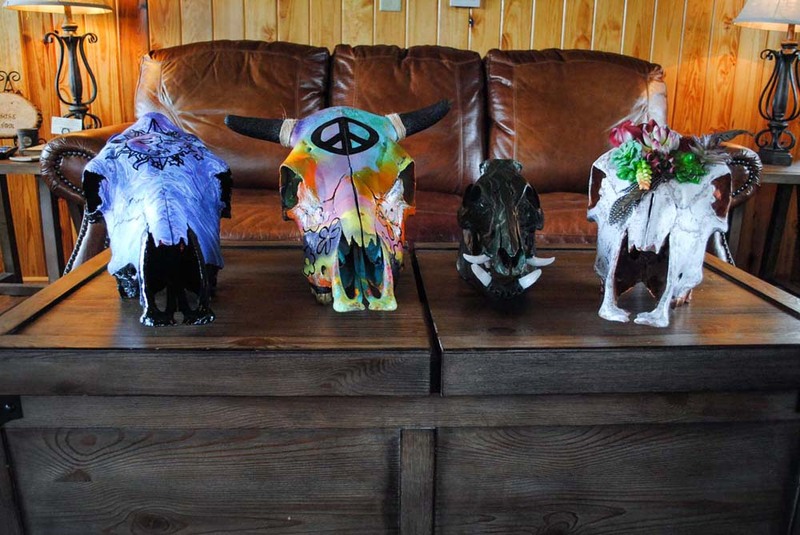 She contributes to our no-waste tenet by turning our cow skulls into masterful pieces of art! 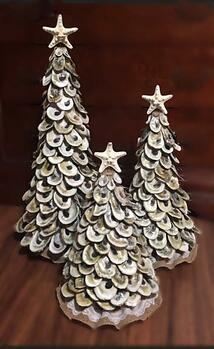 She led a Skull Painting workshop here on the farm and it seems as though Denna adheres to our no-waste philosophy by taking discarded oysters shells and turning them into beautiful oyster trees! Denna wears many different hats and always enjoys life. She enjoys her friends and never meets a stranger. Her infectious laugh will make you laugh, even if you don’t don’t know what you are laughing at. While funny and fun to be around, she is also kind and helpful. She is a great “fit” here at White Oak Pastures, and we are thankful to have her!